Entertaining Guests? Simplify your cleaning by having your Portland Oregon Air Ducts Cleaned. Our process will help you make your chores easier. Just ask my wife. I surprised my wife of 14 years by purchasing a plane ticket for her sister to come visit us from Florida during the Holidays. She hadn’t seen her sister in almost 3 years. I knew I had done will when she teared up as she read the card with the plane tickets enclosed. Michelle & I work long hours, and a few day’s before her sister’s arrival, my Wife was starting to worry about having enough time for a true deep cleaning of our home. We had shot a video for Air Ducts Cleaned in our personal home several months ago, and while the equipment was out, we did all the ducts in our home again, even though it had been less than a year since we last did them. In preparation for our company, we did the standard rushed cleaning the night before her arrival. I can’t believe the difference having our Air Ducts cleaned regularly has made! There just isn’t excessive dust on top of cabinets, or on the walls around the vents. When I was a kid, I helped my Mother clean and “Dusting” was over an hour of our weekly cleaning. Before we started cleaning our Air Ducts in our current home, there was always a little dust around the corners of all heating vents, a layer of dust on all furniture in between cleanings. Keep in mind, we live in a rural area, with a dusty gravel driveway, and have a 14-year-old & a 4-year-old. That’s the reason we added Air Ducts Cleaned to our repertoire at J&M Services. 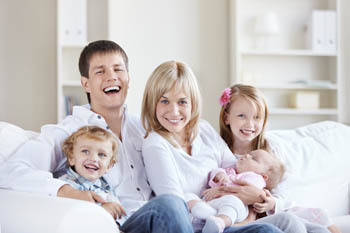 We had Air Duct cleaning services performed at our personal home several years ago. The company honestly didn’t do that great of a job, and we were still impressed with results. Our company has long specialized in Gas Piping & Ventilation. We deal in ductwork every day, so Air Duct Cleaning was a natural fit for our company, and I personally feel we have a real edge in knowledge over Air Duct Cleaning companies that have no prior background in ductwork.